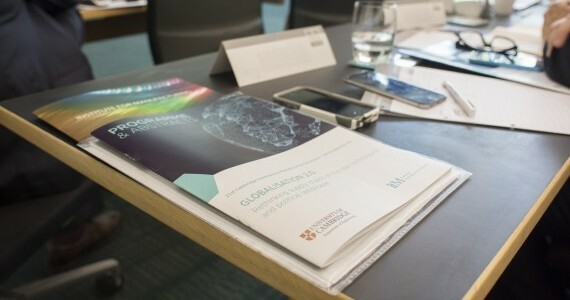 The Centre for International Manufacturing offers short courses for supply chain executives and hosts the annual flagship event, the Cambridge International Manufacturing Symposium. Join us at our annual symposium and hear from world-leading business figures and academics on the supply chain challenges facing global manufacturers. The Symposium includes keynote speakers from some of the world’s leading companies and universities, mixed with informal networking opportunities. It aims to create a growing community of international manufacturing enthusiasts and to inspire thought leadership in this fast-moving field. This course helps attendees develop a strategic approach to identifying, addressing and developing supply chain capabilities, enhancing integration across networks. To find out more and book your place, click here. Learn how to take a structured approach to developing and exploiting a global manufacturing footprint strategy. This course will help delegates to reconfigure their company’s international production network to deliver real business impact.